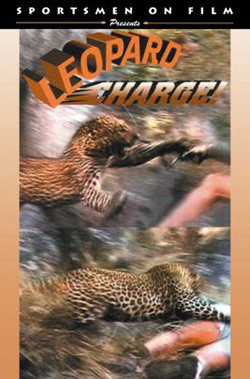 A big male leopard charges Roy Sparks in Zimbabwe. Professional Hunter Mark Butcher rushes in and shoots the Leopard off of Sparks. Buck Rogers videotapes all the events before, during, and after the charge. H A Sportsmen on Film DVD production. A big male leopard charges Roy Sparks in Zimbabwe. Professional Hunter Mark Butcher rushes in and shoots the Leopard off of Sparks. Buck Rogers videotapes all the events before, during, and after the charge. Hunter and eye-witness, Hal Ahlberg, narrates the nightmare that African hunters dream about.